They say hindsight is 20/20, which is an unfortunate reality for landlords, especially when they only see a tenant’s flaws after being scammed out of tens of thousands of dollars. Take the example of a Los Angeles homeowner turned landlord who reported to the news that her home has become a war zone as she battles with a long-term tenant who stopped paying rent. The tenant used two different names when applying for the rental. As it turns out, that may have been a bigger problem than the landlord realized. It’s not clear whether the landlord ran a tenant background check, but it likely that would have revealed a previous eviction history. The landlord says she discovered that fact when she spoke to an attorney, who as it turns out, worked on an eviction involving the same tenant. An applicant’s name is critical to verifying identity, and to running an accurate tenant background check. No matter the reason given for a name change, it is a significant factor in tenant screening. Another important issue is highlighted in this case: the fact that the tenant has been living in the apartment for more than a year. Many landlords are perplexed when a long-term tenant goes rogue. But it is not that uncommon. In fact, it may be one of the reasons the problems occur. Long-term tenants tend to get entrenched in the unit. It’s as though they start feeling territorial about the space. That can cause problems like lock changes, alterations, or hostile behavior towards the landlord. 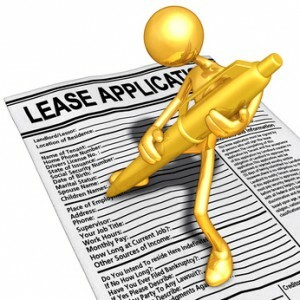 What’s worse, a landlord may think that, as long as the tenant is paying rent, there are no problems. But there are consequences to pulling away from the day-to-day management aspects of the property. The longer the landlord let’s things go, the more emboldened the tenant becomes. In that sense, a long-term tenancy can become the perfect storm, and the ‘tenant from hell’ emerges in the wake. So the lessons this case presents for all landlords is to be vigilant in screening every tenant, no matter how good the stories sound. When you weigh the time needed to run a tenant background check against the mountain of legal paperwork and wrangling that it will take to remove a bad tenant from your rental home, the decision is clear. Running tenant screening reports not only lowers risks, it can offer you peace of mind that your new tenant won’t turn out to be your worst nightmare. In addition, stay actively engaged in management, no matter how long the same tenant stays. Notice the little things — minor rules that are being broken. Over time, these problems will grow into major issues like blocked access, property damage, late or no rent, and even criminal behavior. By keeping the property well-maintained in the long term, you will convey the right message to your tenants. Yes back ground checks are critical .They have saved me headaches several times.